Originally published under the title, "Return or Die?" PA President Mahmoud Abbas won't allow imperiled Palestinian refugees in Syria to take refuge in the West Bank, saying "it's better they die in Syria than give up their right of return" to Israel. Abbas has effectively said Palestinians are obliged to die before undermining their 'right' to settle in Israel. So, too, do high-ranking UNRWA officials who defend the Palestinian "right of return," in speeches and official web pages, not to mention through pervasive promotion in UNRWA schools. How does promoting the claim that Palestinians are entitled to return to places in Israel once occupied by their parents, grandparents, or even great-grandparents serve the cause of peace? Yet pointing out, however gently, that they are unlikely ever to return to these places violates a code of silence. Such was the case with former UNRWA spokesman Andrew Whitley. 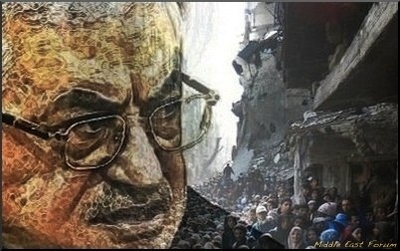 In a 2010 speech to an Arab-American group, he stated, "We recognize, as I think most do, although it's not a position that we publicly articulate, that the right of return is unlikely to be exercised to the territory of Israel to any significant or meaningful extent… It's not a politically palatable issue, it's not one that UNRWA publicly advocates, but nevertheless it's a known contour to the issue." 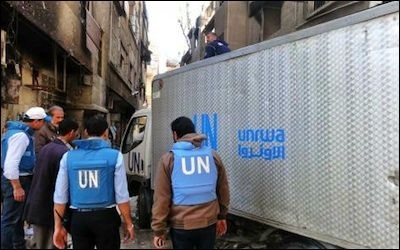 UNRWA swiftly condemned Whitley, saying it "unequivocally distances itself from the statements," and Whitley himself recanted, saying, "I express my sincere regrets and apologies over any harm that my words may have done to the cause of the Palestine refugees and for any offence I may have caused… It is definitely not my belief that the refugees should give up on their basic rights, including the right of return." Al-Jazeera editor Mehdi Hasan recently wrote, "Now is the time for those of us who claim to care about the Palestinian people, and their struggle for dignity, justice, and nationhood, to make our voices heard," but added that "Our selective outrage is morally unsustainable. Many of us who have raised our voices in support of the Palestinian cause have inexcusably turned a blind eye to the fact that tens of thousands of Palestinians have been killed by fellow Arabs in recent decades." That criticism applies first and foremost to the Palestinian leadership. Asaf Romirowsky is a fellow at the Middle East Forum. Alexander Joffe is a Shillman-Ginsburg Fellow of the Middle East Forum. They are co-authors of the book Religion, Politics, and the Origins of Palestine Refugee Relief (Palgrave Macmillan, 2013).